A Russian Government Soyuz-FG launch vehicle has lofted five spacecraft – the Russian satellites KANOPUS-V1 (Canopus-B) and MKA-PN1, a Belarusian BKA satellite, the Canadian ADS-1B (ExactView-1) and German TET-1 – into orbit on Sunday. 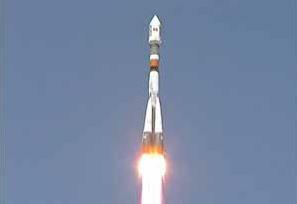 Launch from the Baikonur Cosmodrome in Kazakhstan occurred at 6:41am UTC. The launch was scheduled for earlier in the year – itself a delay from 2011 – prior to several additional delays, pushing the launch into late July. The vehicle used was a Soyuz-FG, with the Fregat Upper Stage tasked with deploying its family of passengers nine minutes into the mission, at 6:50am UTC. 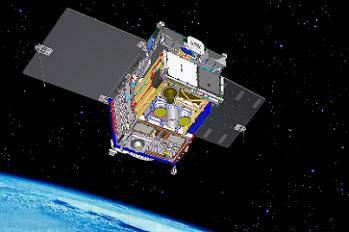 The German Space Agency (DLR) TET-1 is a 70 kg satellite, built by Astrofein under contract of Kayser-Threde GmbH, who are the prime contractor for the mission. 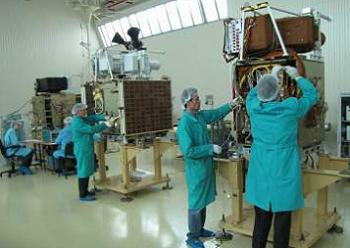 The satellite is part of DLR’s On-Orbit-Verification (OOV) program. The TET-1 will be operated as part of the OOV program for 14 months under contract of the German space agency and will be handed over then to DLR Research and Development department to be used as one part of the FIREBIRD constellation, together with the BIROS satellite which is just under integration. ADS-1b – also known as ExactView-1 – was built under contract for exactEarth, becoming the fifth deployed satellite in exactEarth’s advanced vessel monitoring satellite constellation. The UK’s Surrey Satellite Technology Ltd (SSTL) acted as the launch agent for the 100kg satellite, in collaboration with Commercial Space Technologies (CST) of Russia. SSTL will also oversee a two-month in-orbit commissioning campaign from its ground station in collaboration with exactEarth and COM DEV engineers. Other passengers riding on the Soyuz, namely KANOPUS-V1 (Canopus-B) and BKA, are both classed as remote sensing satellites. The former has been documented as weighing 400 kg, while the BKA is believed to be a sister of KANOPUS V1, launched on behalf of Belarus. The other Russian bird that rode into orbit was the Russian MKA-PN1 satellite, which was was developed by Russia’s NPO Lavochkin aerospace company to study ocean circulation and climate data along the Russian coastline. (Images vai Roscosmos, DLR and Tsenki Webcast).